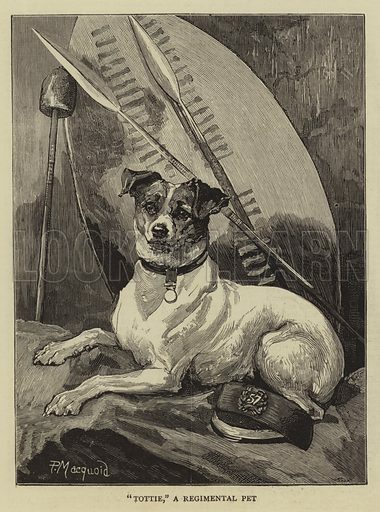 "Tottie", a Regimental Pet. Illustration for The Graphic, 8 April 1882. Available worldwide for immediate download up to 3,445 x 4,644 pixels.